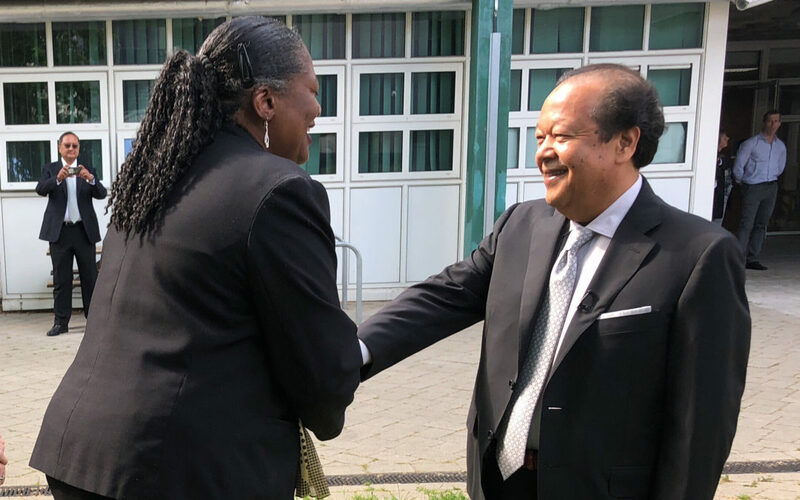 Jacqueline Best-Vassell (left), a participant in the Peace Education Program, meets with Prem Rawat in the UK. Recognizing the Peace Education Program’s proven ability to improve the lives of at-risk people, the National Lottery Community Fund awarded a grant of £10,000 ($11,220 USD) to grow the innovative initiative in the UK. The course benefits participants by helping them discover their own inner resources, recognize their innate value, and understand the possibility of personal peace. The multimedia workshops feature video excerpts of Prem Rawat’s talks, and explore themes such as inner strength, self-awareness, dignity, choice and hope. Peace Partners , a UK charity that regularly supports TPRF programs, will administer the grant. The new funding will allow the organization to build off of the success that the program is already having in a variety of settings. 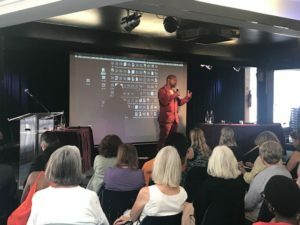 The workshops have been offered at Thameside Prison since 2015, where a frequent refrain from participants is that they wish they were more widely available, both inside and outside of jail. “If I had known about this program when I was younger, I might never have ended up here,” said one of the inmates. In addition to several other correctional facilities, the course has successfully been offered at community centers throughout country, including recovery facilities for homeless veterans, Sutton College, Matthews Yard Community Centre and the Angell Town Community Centre. “This is exactly the solution to the problem in our community,” said Mary Chinyere, manager of the Angell Town Community Centre, which serves an area hit hard by gang violence. “It is an excellent program. I highly recommend it,” said Jacqueline Best-Vassell, one of the participants there. 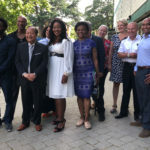 With the idea of cultivating peace to calm the recent surge of youth crime in London, Peace Partners is seeking new opportunities for partnerships to grow the outreach of PEP. 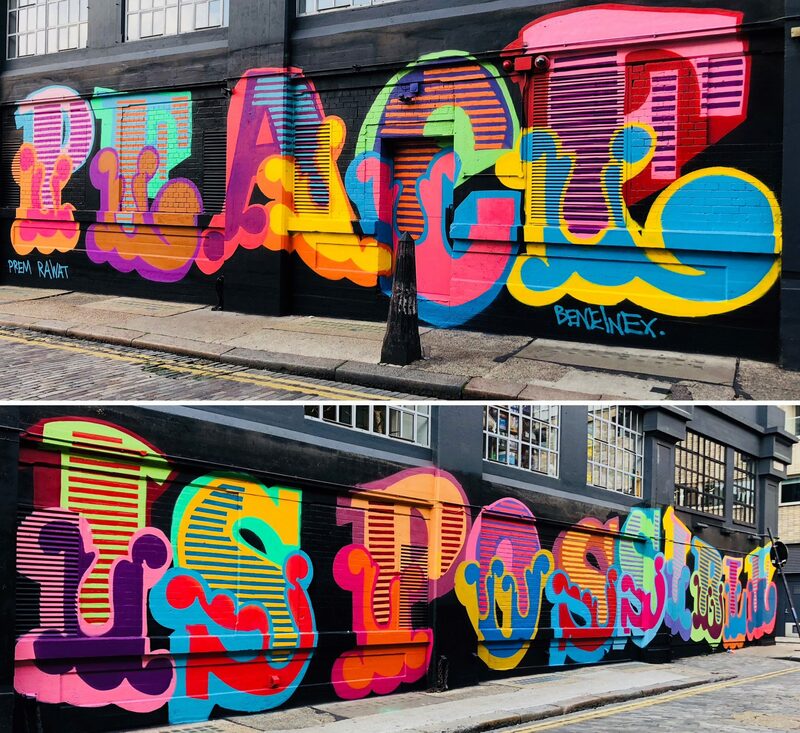 In addition to offering the Peace Education Program, Prem Rawat commissioned this mural on Ebor Street in London, highlighting a hopeful message amid gang violence. PEP has benefited diverse groups of people in 84 countries. 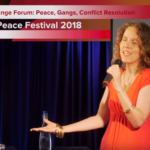 Last year, Prem Rawat launched the “Peace is Possible” campaign in the UK to help stem violence, offering PEP as a tool to community partners at no cost. 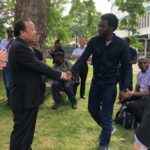 The Prem Rawat Foundation, which he founded, makes the non-religious and non-sectarian program available for individuals and organizations throughout the world. Learn how you or your organization can start offering PEP here.